Matt joined Watsi on December 25th, 2013. Two years ago, Matt became the 2630th member to automatically support a new Watsi patient every month. Since then, 2,456 more people have become monthly donors! 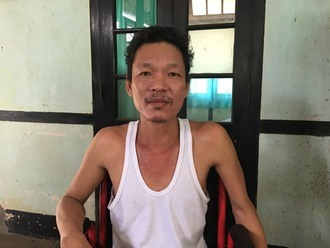 Matt's most recent donation traveled 8,300 miles to support Kyaw, a man from Burma, to fund an amputation. Matt has funded healthcare for 66 patients in 12 countries. Hin is a rice farmer from Cambodia. He has one son, four daughters, and eight grandchildren. He likes to listen to monks pray on the radio. 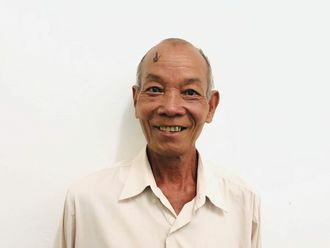 Two years ago, Hin developed a cataract in each eye, causing him tearing, itchiness, cloudy lens, and blurry vision. He has difficulty seeing things clearly, recognizing faces, and going anywhere outside. 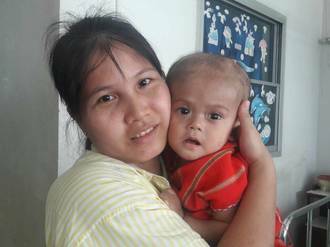 When Hin learned about our medical partner, Children's Surgical Centre, he traveled for six hours seeking treatment. On December 4, doctors will perform a small incision cataract surgery and an intraocular lens implant in each eye. After recovery, he will be able to see clearly. Now, he needs help to fund this $398 procedure. He says, "I hope my eye surgery is successful so I can continue my work at the farm and go outside by myself." Thorn is a motorcyle taxi driver from Cambodia. He has one son and three grandchildren. He likes to read and watch boxing matches. Two years ago, Thorn developed a cataract in his right eye, causing him blurry vision, burning, itchiness, tearing, and a clouded lens. He has difficulty seeing things clearly, recognizing faces, and going anywhere outside. When Thorn learned about our medical partner, Children's Surgical Centre, he traveled for two hours seeking treatment. On October 17, doctors will perform a small incision cataract surgery and an intraocular lens implant in his right eye. After recovery, he will be able to see clearly. Now, he needs help to fund this $211 procedure. 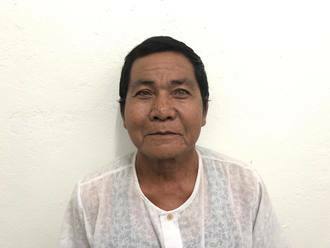 He says, "I look forward to planting a banana tree and lemongrass plants around my house after I return home."